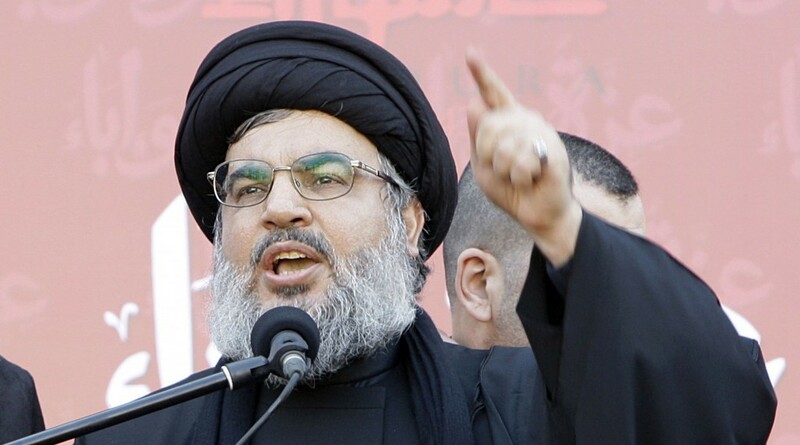 BEIRUT, Lebanon – In a live broadcast still underway at the time of publication, Hezbollah’s leader Hassan Nasrallah has stated in unequivocal terms that the pro-Zionist Saudi regime occupying the Arabian peninsula has declared war on Lebanon and Hezbollah. This comes in the wake of the de-facto arrest and detainment of Lebanon’s now resigned Hariri. The Saudi crown prince MbS effected a mass arrest of other Saudi princes and regime officials, along with Lebanon’s Prime Minister Hariri. Hariri has long been considered by analysts both friendly and unfriendly to the KSA as a Saudi asset. This series of big moves has represented a balance of power shift in the region in favor of Syria, Iran, and the Lebanese resistance, Hezbollah. Hezbollah like Russia, has been a critical ally of the legitimate government of Syria, which has been under attack by a now crumbling coalition of regional players, including Israel and the United States. In the live broadcast statements, still underway, so far FRN offers a near-transcript of the critical points of Nasrallah’s speech, in which Nasrallah has stressed the following points. We remember all our martyrs; fighters and commanders. And those who fight to one day become a martyr. I would like to reminisce on this spiritual and moral commemoration. We see the millions march towards Karbala, up to 20 million. There are many that walk more than 300km, all the way from the Iran-Pakistan border. No international help only from Iraqi people. History has not witnessed an event where millions flock to a grave of a man killed 1300 years ago. He sacrificed everything. On the path of Hussein (ع), many of your sons fell martyr defending their religion as he did. Nothing can describe this dignity. The wounded, the freed captives and the mujahideen who carry the burden. Are fighting Israeli aggression up until Jaroud victory. IS which was created by Obama/Clinton/US is now breathing its last breath. Due to victories in AlboKamal, Badiyah, DeZ, Qa’im. In Lebanon, the martyrs are not restricted to Hezbollah, but also Leb Army, other Resistance movements and the Lebanese people. The losses, wounds, displacement during the wars we have fought is our responsibility as well as everyone’s and the Ummah. On the recent political tension in Lebanon, re. Hariri. In a year, Lebanon went through a stable political phase incl. electing a President as well as security developments. I said before; Lebanon today is safer than the US. Look at the past 40 days, Las Vegas and Church shootings. 9 million people went through Beirut airport between July and August. Suddenly in a single blow, KSA called the Lebanese PM and forced him to announce resignation via letter that Saudis wrote. It led to shaking up Lebanese politics and unprecedented Saudi meddling. The Lebanese PM is held against his will in KSA and not allowed to return. Hariri’s Future Party is not being informed about the moves by KSA. Saudi statements are inciting the Lebanese against each other, also calls those weak who do not give in to these threats. The most dangerous, is the incitement by Saudi for an Israeli attack. Saudi officials announced war on Lebanon not just Hezbollah. To the Lebanese; Saudi is calling for you to destroy yourselves, despite their mention of Hezbollah. In Syria; Saudi emirs in Jordan led the fight in side Syria and left it in destruction. Lebanese people need to choose their fate now. We condemn in the strongest terms this meddling as well as the treatment of Hariri by the Saudis. It is insult to all Lebanese. We join our voice with other Lebanese for the return of Hariri. If he wants to resign he should come back and go to Baabda. No one should be silent about this matter. Yes, Hariri is held prisoner and must be released. It was unethical and unconstitutional resignation and was made under duress. It is like a forcing someone divorce or sell house. Our Gov and PM is a legitimate one. If he comes and resigns in person then there is no problem. Those who conspire for a war against Lebanon and Hezbollah must come forth and take responsibility. Against the hate and threats, we, the Lebanese people must unite and protect each other. Arabiya spread assassination rumour despite Lebanese security forces denied. What are they preparing by spreading these rumours? As we see, Israeli invasion threat is not as imminent as others think. They have a chance other than military; media/politics etc. Ten days ago, in the south, Israel helped militant groups in attack towards the Druze village Hadar. SAA & allies repulsed it. We along with the Lebanese Army monitor situation. On remembrance of Qusayr operation which shook their ground; We are ready for anything. They (Israelis) should be careful, considering regional situation and cost of a war. The Hariri situation is only part of problem. The real anger from the Saudis is towards Iran/Hezbollah. In Syria they had hopes to change it in their favour. We know who brought the terrorists to Iraq, wanted downfall of the Government. As well as supporting the partition of KRG (Kurdistan regional government) from Iraq. In Yemen there is a big humanitarian disaster while Saudis plans fail. Look at how smart Saudi intelligence is; they say the ballistic missile was from Iran given to Hezbollah in Yemen & fired it at Riyadh. They continually down talk the Yemenis due to their defiance by blaming everything on Iran. If it was Hezbollah’s doing of foiling Saudis in Yemen then this is a major achievement for us! (sarcasm – ed). Same as in Bahrain, their suppression of the Bahrainis, is it a success or a failure? Difference between KSA & Iran, is Iran doesn’t interfere in Leb internal affairs, demanding who should be Prez etc. Saudi can’t handle Iran so they come to Lebanon so they take out their frustration here. If your target is Hezbollah. Don’t tire yourself. You will never succeed, lower your standards. Our stance on Yemen will remain as it is. Saudi FM Jubair, addressed Lebanese people calling to “save” them, your actions and statements say otherwise. Like you wanted to save the Yemenis from illegal groups. By cholera, starvation and destruction? This how you will help the Lebanese, by threatening military action? By inciting Sunni vs Shia? Lebanon is free, independent and sacrificed a lot to stay away from foreign meddling and influence. If you want to sanction Hezbollah, send someone & I will give them a list if they want. Use your heads & you might get somewhere!